Montréal, May 15, 2014 — As part of the second edition of Montréal’s International Digital Arts Biennial (BIAN), the Musée d’art contemporain de Montréal (MAC) is pleased to present the film version of C4I, a majestic work by Japanese artist, composer and performer Ryoji Ikeda, one of the leading names in minimalist electronic music. 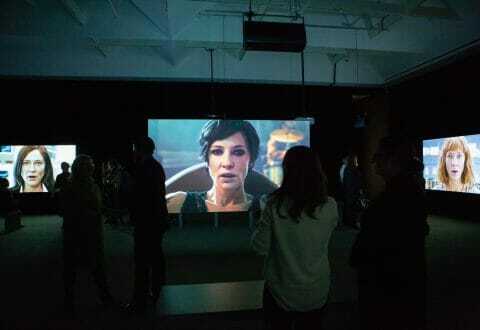 C4I will be screened in Beverley Webster Rolph Hall at the MAC until June 18. Ikeda, described by the Musée’s Director and Chief Curator John Zeppetelli as “the great poet of our current age of digital exploration,” pursues a practice that explores the rationality, simplicity and intricacy of ultrasounds, frequencies and the essential characteristics of sound. A master of minimalist sound, he takes the manipulation of sonic data to the limits of perception. In Ikeda’s work, the sublime blends with infinity, and the nexus of sensations triggered by his visual and sonic compositions evokes a vast, intangible and strikingly elegant world. Both a concert and a film, C4I uses data as material and theme, highlighting the ways in which such information shapes our understanding of the world. 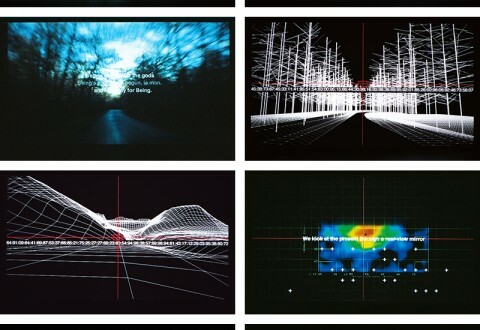 Video images of landscapes are gradually abstracted into a language of data, while facts, figures and diagrams are used in a montage of dazzling graphic force. Text excerpts elegantly punctuate the on-screen projections. Blurring the lines between nature, science and philosophy, the work subtly suggests a convergence of the real and the virtual. The sound track synchronizes perfectly with the graphical and video images to create a piece of undeniable power and beauty. C4I, with its meticulous composition and technical sophistication, reveals sublime views of reality. This presentation was organized by Louise Simard, Head of Multimedia at the Musée d’art contemporain de Montréal. 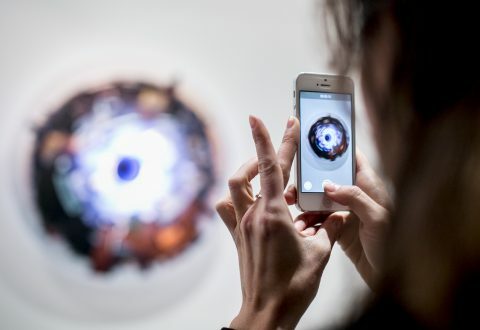 To extend this experience, the Musée d’art contemporain is presenting in its North American premiere Ikeda’s superposition at Théâtre Maisonneuve, Place des Arts, next October 11. The superposition project is about the way we understand the reality of nature on an atomic scale and is inspired by the mathematical notions of quantum mechanics. 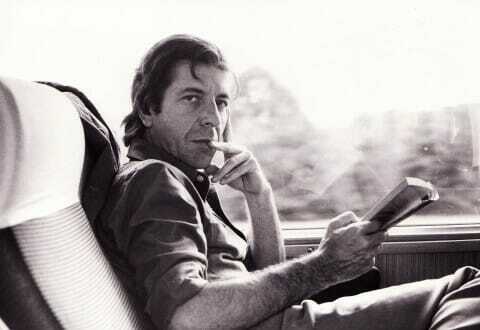 Performers will appear in his piece for the first time, acting as operator/conductor/observer/examiners. All the components on stage will be in a state of superposition: sound, visuals, physical phenomena, mathematical concepts, human behaviour and randomness will be constantly orchestrated and de-orchestrated simultaneously in a single performance piece. Given its world premiere in November 2012 at the Centre Pompidou, superposition was commissioned by the Festival d’Automne à Paris, for its music section. 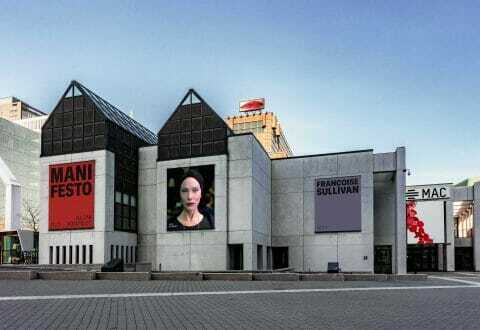 The Musée d’art contemporain de Montréal (MAC) is a provincially owned corporation funded by the Ministère de la Culture et des Communications du Québec. It receives additional funding from the Department of Canadian Heritage and the Canada Council for the Arts. The museum gratefully acknowledges their support and that of Collection Loto-Québec, the MAC’s principal partner. The MAC also thanks its media partner, La Presse+.